Here’s the not-so-secret secret about your book editor: he loves books. Sure, sometimes a book editor loves being right, but on the whole he loves reading, working with words, and seeing writers grow into authors. A book editor does what he does because he wants to help authors put their best words forward. But if you’ve never worked with a book editor, how do you know what you should offer beyond just sending him your best draft? 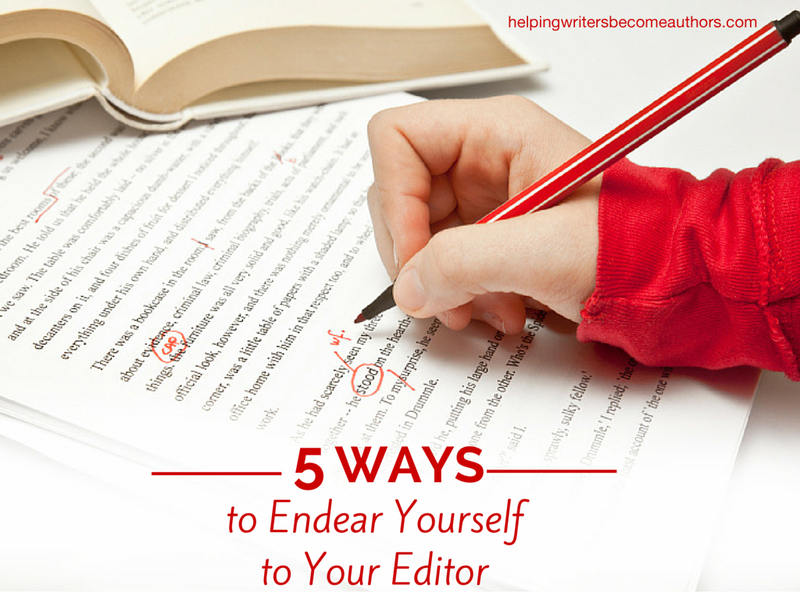 Here are five simple yet effective ways you can endear yourself to a book editor. A book editor often works on multiple projects at once, whether that’s editing books, writing his own, or freelancing in other ways. Consequently, he may have more deadlines than you as an author might have. And while it would be nice to believe your book is always his top priority, that’s not always the case. Busy editors (who tend to be the good editors) juggle projects, shifting their prioritized work day-by-day. Some days, your book will be a top priority. Other days, it won’t. Regardless, a book editor can’t do his job unless the author holds up his end of the contract as well. Always respond to an editor’s comments or questions within a reasonable timeframe, like one or two business days. Timeliness means being available. 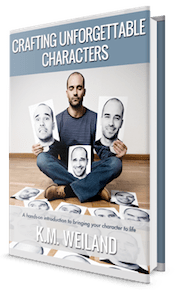 If you’re a busy professional trying to eke out a book in the margins of your life, this can be a daunting task, but understand that your editor can’t finish your book until he’s received feedback from you. Of course, editors know you also have a schedule and other responsibilities. They’ll work with you to find a suitable time and avenue to communicate. Many freelance editors will even go so far as to talk with you after traditional business hours, especially if you have a full-time job. Like any good working relationship, it’s a give-and-take that requires flexibility from both parties. You’ll endear yourself to your editor if you regularly make yourself available and seldom miss an appointment. A book editor will be brutally honest about your work. He may make so many changes you might wonder whether it’s even the same book. But always remember that it’s your book. Unless it’s regarding black-and-white grammatical issues, editors aren’t telling you what to do. Rather, they’re making knowledgeable and well-intentioned suggestions they believe will make your book better. Trust is built on honesty, so don’t hold back on your own feedback. When a suggested change doesn’t jibe with your voice or plot, speak up. Editors like to see authors defend their work with reasonable arguments. This often leads to a better book, and both the author and editor learn more about each other. Always remember: you are the sole champion for your book’s vision. Your editor will expect you to be able to take criticism; you should expect the same of them. Proper editing takes time. If you send your 80,000-word book (320 pages) to a copyeditor capable of working on ten pages per hour, it will take that editor thirty-two hours to complete your edit. “That’s less than a typical week’s worth of work,” you may think. That’s both true and not true. Remember, editors typically work on multiple projects. If they allot two hours per day to the project mentioned above, it will take them sixteen business days to finish editing your book. That’s half a month, and that doesn’t include lulls in work while seeking feedback from clients. With more than 3,500 new books appearing on Amazon every day, you can’t afford to rush your book to market. It will get its lunch eaten and be forgotten by dinner. As hard as it is, be patient with the process. In writing as in life, there’s always more to learn. The jots and tittles of writing may always remain constant, but the infinite variations a writer can concoct from letters, words, and ideas require an ongoing openness to the craft. But this lofty and inspiring idea crashes back to reality when you receive your bleeding manuscript back from an editor. In that singular moment, you may want to hold your barely breathing manuscript close to your chest, whisper, “My precious,” then never contact your editor again. That’s okay. But it’s not okay to stay that way. Being open to even the most heinous of edits is a hallmark of writers who are intent on becoming better writers. If you’re timely, available, honest, patient, and open—and if you’ve written the best manuscript you can—you will endear yourself to your book editor. 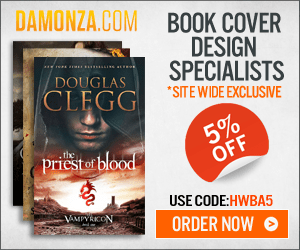 This guest post is an adapted excerpt from Don’t Fear the Reaper: Why Every Author Needs an Editor by Blake Atwood with EditFor.me. Tell me your opinion: Have you ever worked with a book editor? What is your greatest tip for getting the most out of the relationship? 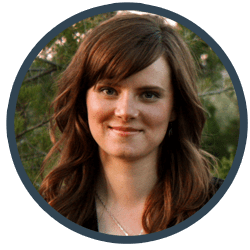 Blake Atwood is a freelance editor, writer, and ghostwriter with EditFor.me and the author of Don’t Fear the Reaper: Why Every Author Needs an Editor and The Gospel According to Breaking Bad. Thanks so much for sharing with us today, Blake! As a freelance editor, I obviously love this post. 🙂 Though I will say this: I don’t care about being right as it says at the top; I just want to open authors’ eyes to potential new routes when I feel they’re needed. I’ll add this to the list: To endear yourself to freelancers like me, care about what you do! Even if they’re flaky, my favorite clients are writers who’ve taken the time to improve their craft and are excited about their stories! Have you run into clients that don’t care? I’m assuming that writers who’ve spent hours upon hours writing their books would care about the final outcome, but I’m still relatively new to freelancing as an editor and working with a wide variety of clients. How do you handle them? I do run into them. They’re mostly business writers, but I once ran into this with someone who wrote a memoir: he just sort of slapped everything down on the page and felt that it was amazing, whereas realistically, even though the story was an important one, the delivery needed a lot of work. So he cared about his story, but not the craft. His publisher and I had a pretty tough time with that one. I handle clients like this by sticking to my role, which means not interfering with areas of the process that don’t concern me, but also means not backing down from my professional opinion when it comes to editorial concerns. Treat the experience as an end in itself! In an earlier post, I spoke of reality’s repetition inhibiting us, keeping us day to day from being the best we can be. Overcome this! Recognise it, then discard it. Your work acquaintance – be willing to “communicate” with them. Don’t reject sharing with them, out of the fear of tomorrow. I said to someone, recently, intending to give me a review: human beings communicating with each other is life’s fruit. Communication between human beings is the end in itself! I know that I’m always a better writer after having gone through the editing process, and that I will always need to through the editing process, no matter how “good” I think I might be at writing. It’s a craft that admits no masters, right? Thanks for reading, and for adding in your valuable two cents. Practice is a must, absolutely yes. And thank you. Lack of effort, usually is how two people working together won’t have achieved mutual satisfaction; as a tool, taking the full time and energy needed to express oneself properly must never be underestimated. Thank you very much for your tips which apply to many different professional relationships. A very astute point Leah. I have never used a book editor but had several, probably too many, proofreaders. Some did a better job than others. I think I will seek out an editor for my next one after this advice. There is a world of difference between proofreading and true editing. It’s definitely worth looking into what an editor can do for you and your books. You make a good point, too, about the potential of having too many people looking over a book. You might have them conflict on style guides (especially Oxford commas. I don’t know why these are polarizing, but they are…) and leave you uncertain which way to go. A book editor can help with that. I have a development editor and I have a copy editor/proofreader. They are different creatures entirely. I appreciate both for what they do because they make my work better. Generally, by the time the editor and I are done the copyeditor has little to do, but picking up a missing article or the like makes the copy so much better! I’m an editor myself, and I think the advice you give is perfect. Something else I’ve noticed is that when I receive manuscripts late, it can affect my emotional state. If a deadline is completely missed, but my turnaround time is expected to be the same, I have negative emotions toward the project before I’ve even opened it. Being timely and/or flexible with my deadline creates a relaxed environment where your editor can get immersed in your story or the work (you don’t want a proofreader too immersed in the story), you’ll get a better product in the end, and establish a working relationship that is likely to last. What a great post. I’m a freelance editor, and I enjoy helping my clients enhance their prose. I call myself a “Creativity Coach” because my approach to editing is to nurture writers and help them find their full potential as authors. Most perfect timing! I’m sending my manuscript to my editor TODAY! A real meant-to-be moment as now I will be with phone and laptop 24/7, just in case she needs something. Especially appreciate your admonition to “be honest” with the editor. Many writers take every bit of advice to heart and end up in a state of confused frustration. I consider all comments, but I’ve learned to pick and choose which of those are most useful. Thanks for this! I think the editor often takes time to let us know how we are doing, it’s good to let them know they’ve provided good suggestions. I guess sometimes editors might worry their remarks might be taken poorly, but I see everything as good constructive criticism, and let my editor know she’s pointed out very valid points. This is great! I’ve been sitting here while working, thinking I should put another disclaimer on my work page asking potential clients not to expect me to drop everything and turn their project around in a few days. I had so many requests over the past week, and two of them could not wait a couple of weeks for me to not only get to them but finish their book. I offer other names if they ask, I’m nice enough to do that. I generally love the people and projects I do work with. It’s fantastic to see the growth of writers who do want to grow, and the process definitely has mutual benefits. I’ve found a wonderful indie editor. I’ve worked with editors for years from newspapers to multinational publishers. I’ve never had such a good relationship with one before, maybe because this time the editor and I had the option of agreeing to work together rather than being assigned to each other. Today I sent the revision back and thanked him for redirecting me (even though it involved a significant re-write) because it made it much better. That’s what I pay him for. If he didn’t challenge me and make my work better then there would be no point to hiring an editor. Quoting yourself is a special kind of sharing. Thank you. Thank you for this article! Makes me want to go out and get an editor right now, and I’m not even done with my first draft! Definitely a lot of good points to consider when I am done! When you are ready, I think you’ll find some potential editors to work with right on this page! The author of this post, me, and a few others who have commented. You can ask us about our prices, and I’m sure, even get free samples from most of us. It’s always good to have a few people in mind for when you are done with the writing and the self-editing. I believe the hardest part would be accepting that bleeding manuscript. Even after putting all that hard work on it. I’m so happy to see the word ‘tittle’ used in context. That is all. Thanks so much for this! I am an editor and I found all 5 pieces of advice to be so right! Not because I always want to be right, ha, ha! But really, I’ve never had anyone describe what an editor is in such nice words. You have a new fan in me. Thanks for the similarly kind words Ana. May all your clients be as endearing as this post hopes they are. Working with a book editor is like working with anyone else. Being pleasant is the most important thing. You can disagree and still get along, but you can never be obnoxious and expect a good outcome.